Kolkata: The West Bengal government has stepped up efforts to cope with emergencies ahead of the Durga Puja—the state’s biggest festival—asking five largest state-run hospitals here to set aside 50 beds each and giving them Rs10 lakh each to to stock medicines and boost infrastructure. “It was just a rumour that took 150 lives," said Subrata Narayan Sarkar, special commissioner of Kolkata Police, referring to Tuesday’s stampede in a temple in Jodhpur, Rajasthan. “It does not (even) have to be a crude bomb. Whispers can be killing," he said, adding that the police are more “alert this year than ever before". 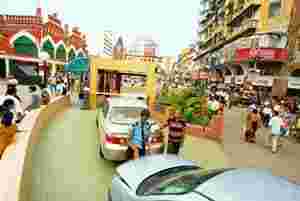 The city hasn’t faced a terror attack since January 2002, when security personnel guarding the American Centre were shot at. Four policemen were killed and 20 injured in the incident. The state’s home secretary, Ashok Mohan Chakrabarti, said although there are no specific inputs from intelligence agencies, the administration wasn’t taking chances. Puja organizers have been told to install surveillance cameras and erect watch towers, while the police are training locals to manage the crowd, he said. “We are relying heavily on local people though we are going to deploy over 15,000 policemen." But the organizers of most community pujas say they do not have the resources to maintain a strict vigil. “Neither do we have the money, nor people," said Subir Ghosh, joint secretary of Bosepukur Sitala Mandir Durgotsav Committee, which organizes a popular community puja in south Kolkata. “When central agencies are failing to check terror, what could we do?" But not all have given up and some are going the extra mile to protect visitors. While sniffer dogs will be deployed at Babubagan Sarbojonin Durgotsav in south Kolkata, Shuruchi Sangha Club in New Alipore area would be providing walkie-talkies to volunteers to manage the crowd. Meanwhile, the state’s health department, which is trying to launch trauma care centres at the five major Kolkata hospitals ahead of the puja, wants to turn them into permanent facilities. “It will not be a one-off measure but will continue even after the puja, Diwali and Kali Puja," said Krishnangshu Ray, medical superintendent and vice-principal at state-owned RG Kar Medical College and Hospital. The other measures planned by the state health authorities at these hospitals include the setting up of teams of multidisciplinary experts who will be on call through the festivities. “Our doctors are well trained but in case the need arises, we will get in touch with army doctors," said Anup Roy, medical superintendent and vice-principal of Calcutta Medical College and Hospital, which has already held initial discussions with the Army. The government, however, doesn’t seem to have paid much attention to the blood banks. “The stock fluctuates depending upon donors," said Roy, admitting that no special arrangements have yet been made to keep donors on standby. The state-run Central Blood Bank currently has a stock of 5,000 units—the maximum it can store. Its director A.K. Mondol said, “We have an average stock of 5,000 units and we haven’t got any directive to augment it. I can’t just stockpile blood which has a (shelf) life of one month." A paucity of ambulances is another issue that the government seems to have overlooked. Even the Kolkata Municipal Corporation’s fleet is in a shambles. “We have about a dozen ambulances, but many are in the workshop," said deputy chief municipal health officer J.C. Roy. “Even those that are there are old and not equipped to provide emergency medical services," he added. Romita Datta and Aveek Datta contributed to this story.